An alkaline pH balance in the bloodstream is essential for a healthy diet. The pH of your blood is naturally alkaline, registering around 7.4 on the pH scale. Blood that has a pH below 7.35 is considered to be critically acidic. Your body will do whatever is necessary to maintain that delicate balance, even if that means extracting calcium from your bones in order to neutralize the acid. Bones are the most accessible source of something alkaline that the body can utilize to increase alkalinity in the blood. When the body leeches calcium from bones in order to neutralize excess acid in the diet it leads to arthritis, osteoporosis and bone loss. Here is a brief overview of how to get the most from this wonderful food lifestyle. This outline is all there is to it. The equation is pretty simple. Eat Sunrider foods & clean up your body = great health with lots of energy. Imagine, never being tired, irritable, fat or sick and then having such a clear mind that things come to you easily and effortlessly. Although these may seem like pretty big claims, and they are not touted by Sunrider, but by the people who have eaten these foods on a regular basis. Although Sunrider as a company does not tell people what to eat and what not to eat, you can be on the fast track to better health or take things more slowly. Why Is This The Best Health Food Store Online? I'm Cliff Smith one of the owners of BestHealthFoodStore.net. Since 2001, my wife, Jane Wakefield, and I have been sharing our favorite healthy living products with thousands of people around the world. 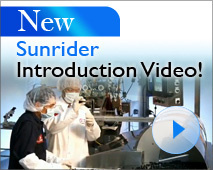 After watching many fad health products come and go, we're absolutely certain that our exclusive manufacturer, Sunrider, has been producing the safest, most effective health and beauty formulas on Earth for over 35 years. That's why so many others have been using Sunrider products since 1982! 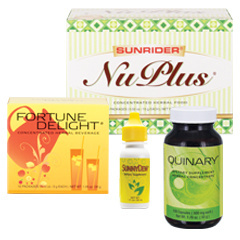 We're proud to say that all the products we offer are made exclusively by Dr. Tei-Fu Chen and his company, Sunrider, the only manufacturer we trust for serious nutrition.